Greg Russell has been a television fixture in Detroit for many years. 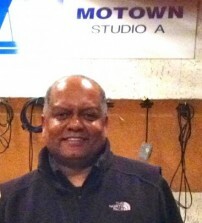 Greg is the host and producer of the syndicated show â€œMovie Show Plusâ€. This show has been on the air for the past five years. It airs on TV20 Detroit, Comcast On Demand for Michigan, parts of Ohio and Indiana, and on Colours TV, which is on the Dish Network. "Movie Show Plus" is a half hour movie review/celebrity interview show. Greg travels across the country and around the world to do interviews with today's hottest stars including Denzel Washington, Hilary Swank, Morgan Freeman, Julia Roberts, Nicole Kidman and many, many more. Greg Russell is also the local host of the "Jerry Lewis Labor Day Telethon" (10 years) and is an Emmy Award winning producer (Positively Detroit).